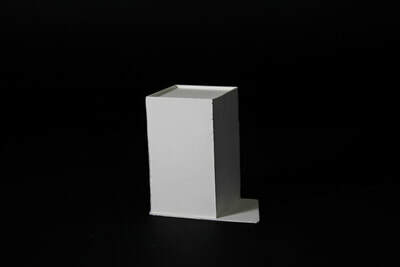 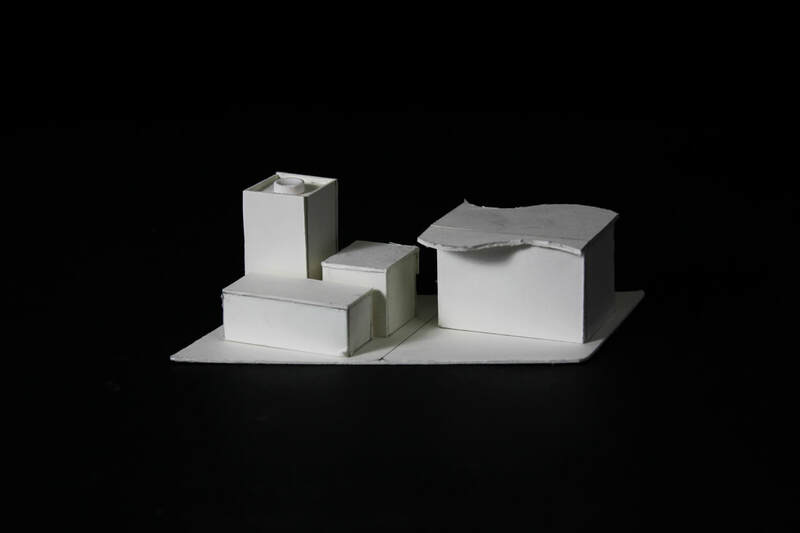 This project served as a great introduction into our Architectural Design class. 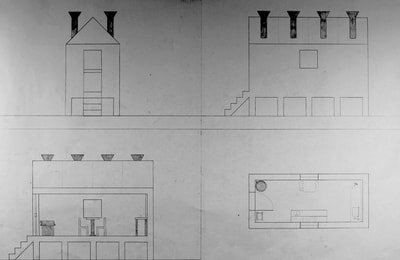 Every student was given a building sketch drawn by John Hejduk from his book, Lancaster Hanover Masque and we created elevation drawings bases on those sketches. 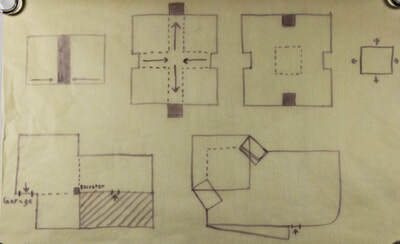 I was given a Store House building to break down and design. 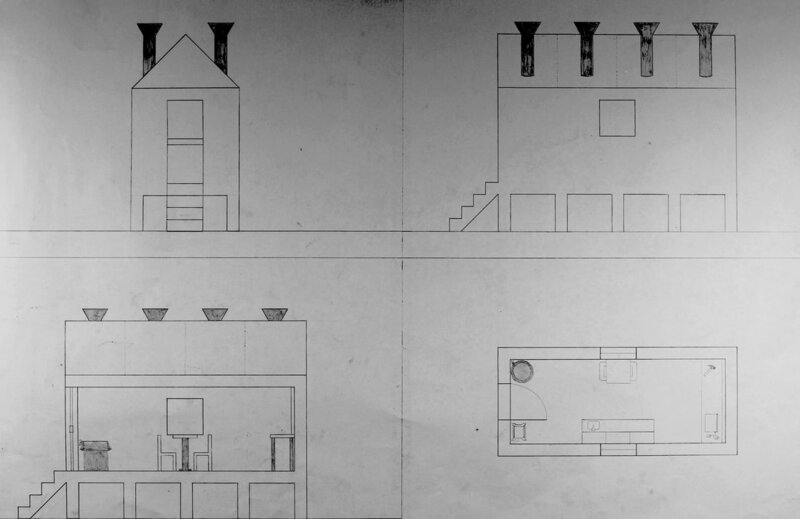 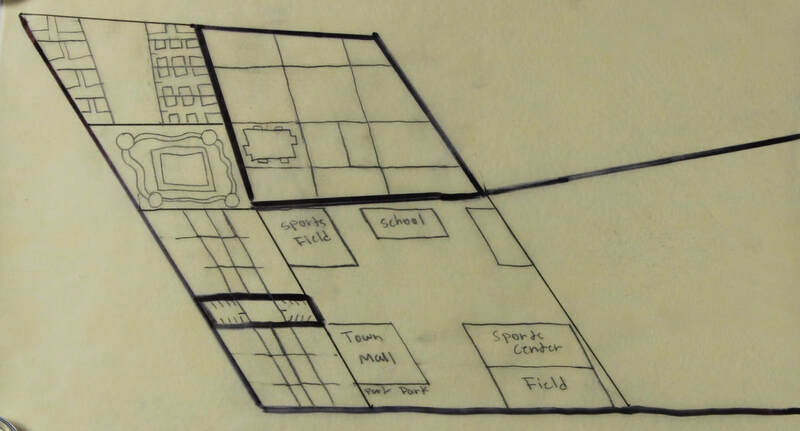 We started off with rough sketches of the front and side elevations on trace paper to get an idea of scale. 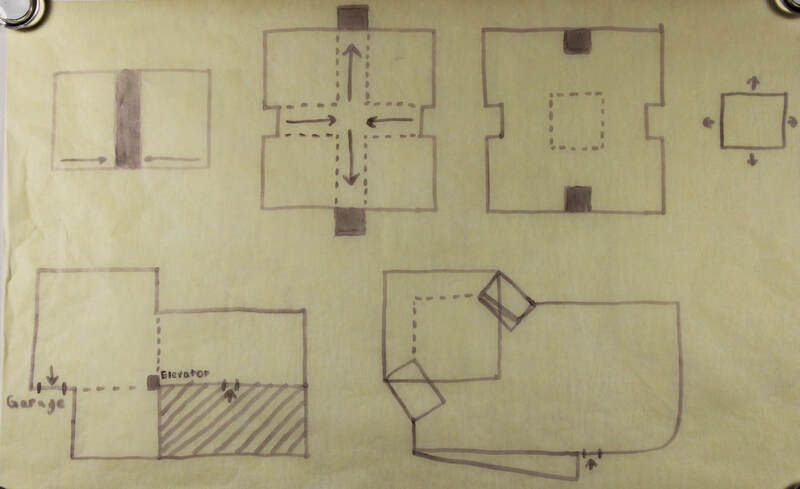 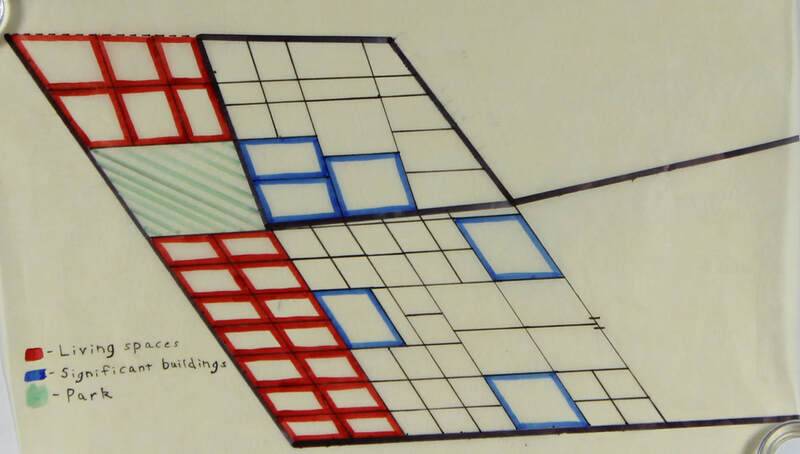 Then we created final drafts of those elevations using T-squares and architectural scales. The last part of the project was creating a model that was to scale with our drawings. 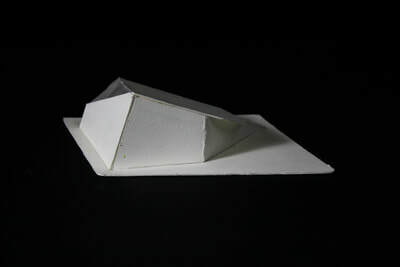 Both my drawings and model were 1/2" Scale, so it ended up being a bit larger than most other students' projects. 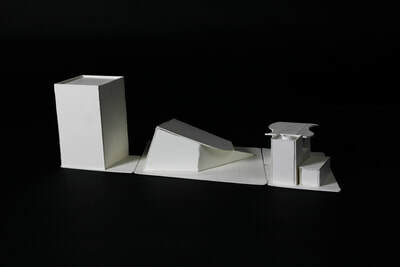 This was a large scale project centered around a section of the DMZ between North and South Korea. Our goal is to create a city that fits both North and South Korean citizens' needs, while pertaining to traditional styles of Korean Architecture. 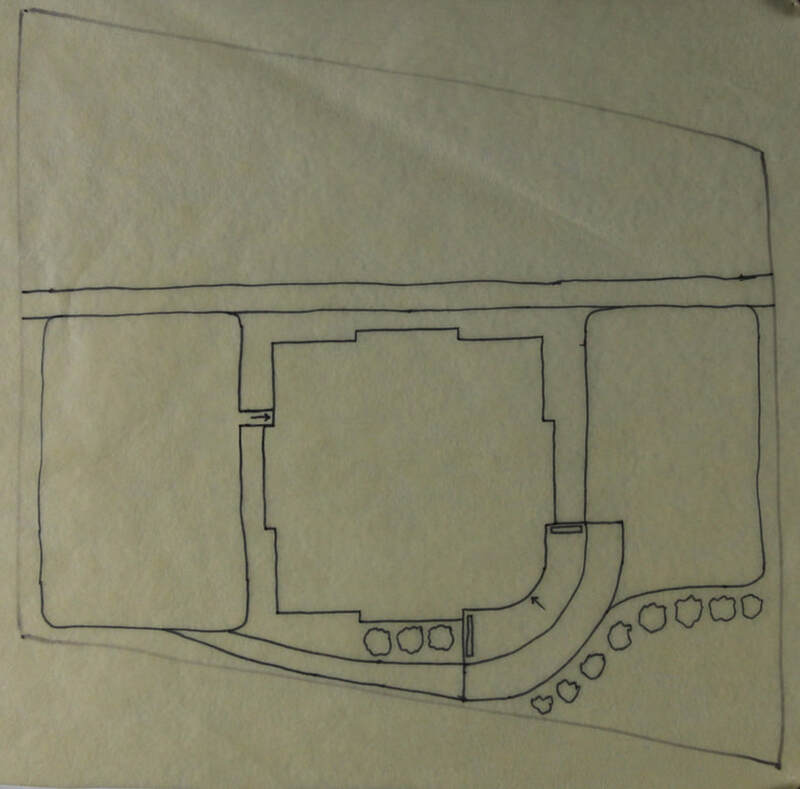 We were given a lot of flexibility with this project, whether it was designing highways and neighborhood roads for a zone, or creating a parti diagram for a building, there were countless ideas we could go with. 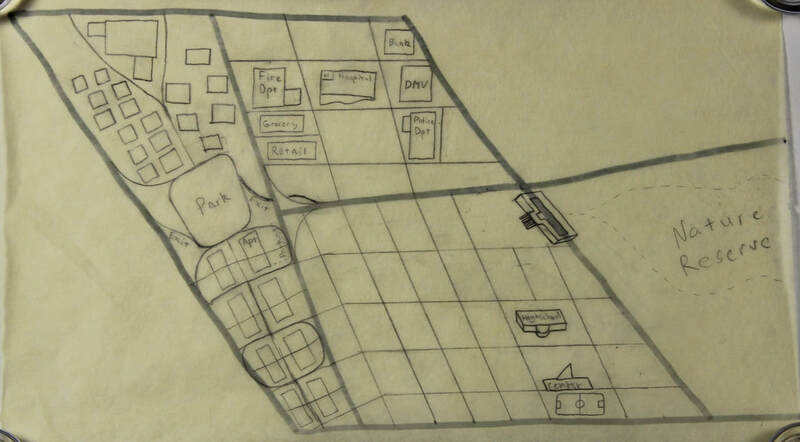 We started off by outlining our specifically assigned zone on trace paper, then created multiple layouts for roads. 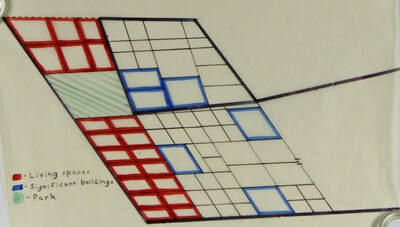 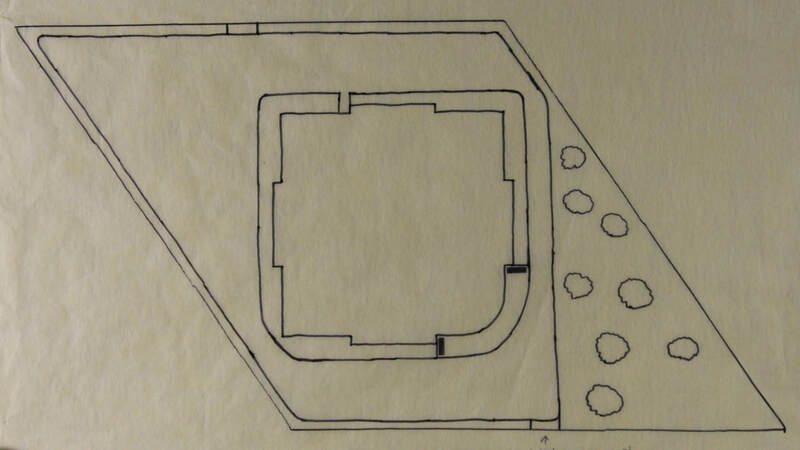 This gave us an idea of traffic flow, and led us to choose what kind of buildings we needed and where we needed them. 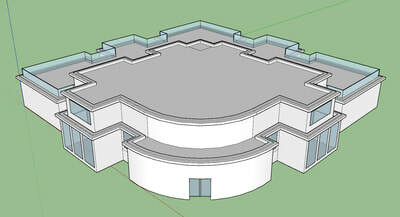 ​Our final design was then recreated in Autocad with proper scale and precise road placements. From here we began creating concept designs for buildings we wanted to implement into our zone. 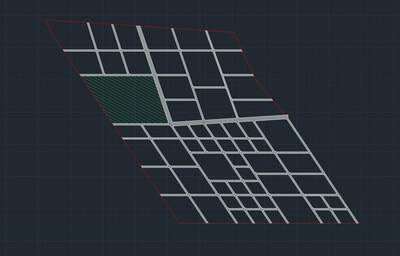 Since my zone is made up of a neighborhood and civic district, I created concepts for apartment buildings, hospitals and clinics. 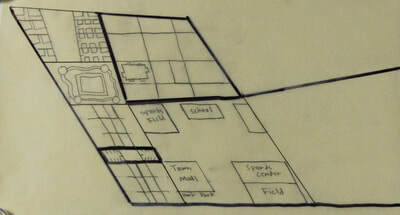 My first idea was focused around an apartment building with many units that was several stories high. Since large multi-family living complexes are common in South Korea, it made sense to mimic that style of building so more people could reside in this area. 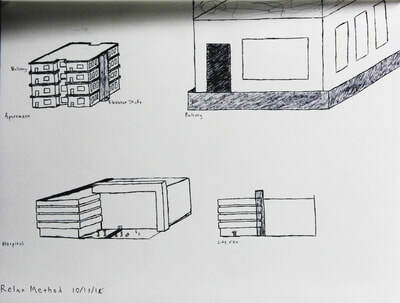 I also created sketches for a hospital that could be in the civic district, but I was given the advice to create more of a neighborhood clinic style building because hospitals in themselves are very large-scale projects that take a lot of planning and a neighborhood clinic could still pertain to the needs of the Korean citizens. 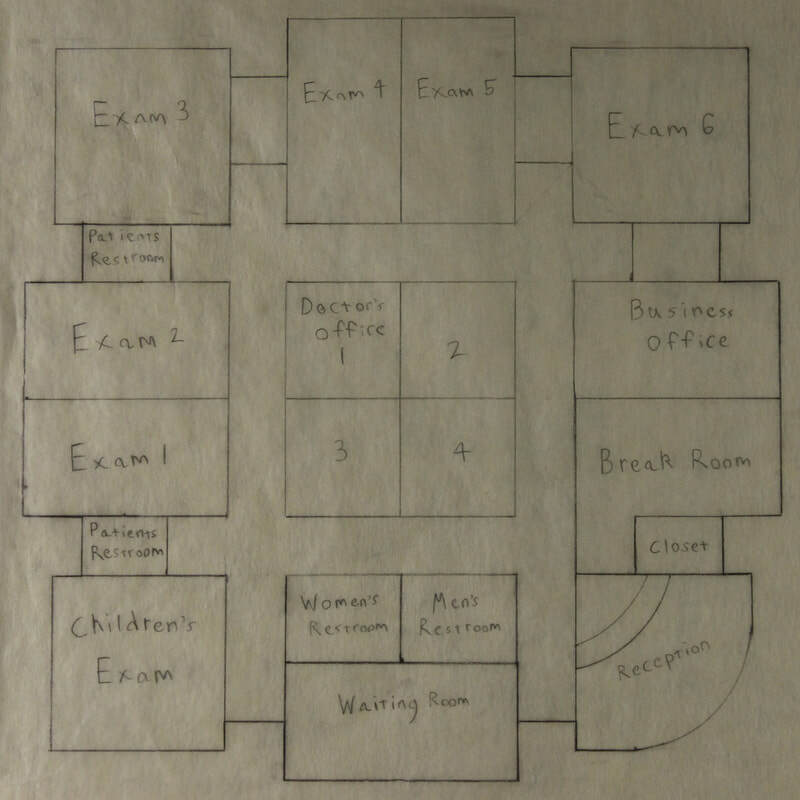 After deciding what my final building was going to be, I began to create site plan and floor plan sketches for my one story clinic. Once I figured out my scale and proper spacing in my site plan, I was able to transfer my sketches over to Revit and create a finalized plan of my ideas. 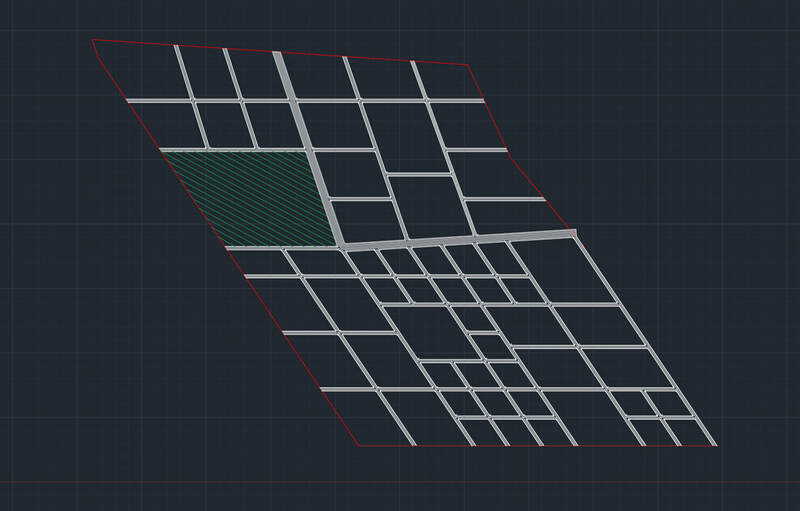 From there I took my Revit file and transferred it to AutoCad where I then plotted out small parts of my building to be set up to laser cut. 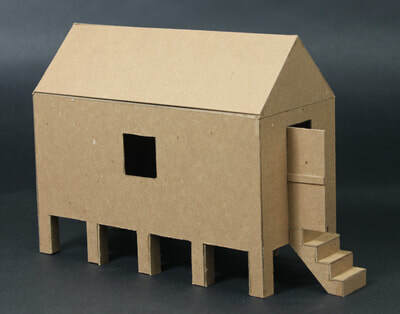 I then used the laser cut pieces and a cardboard/foam base to create my final model.